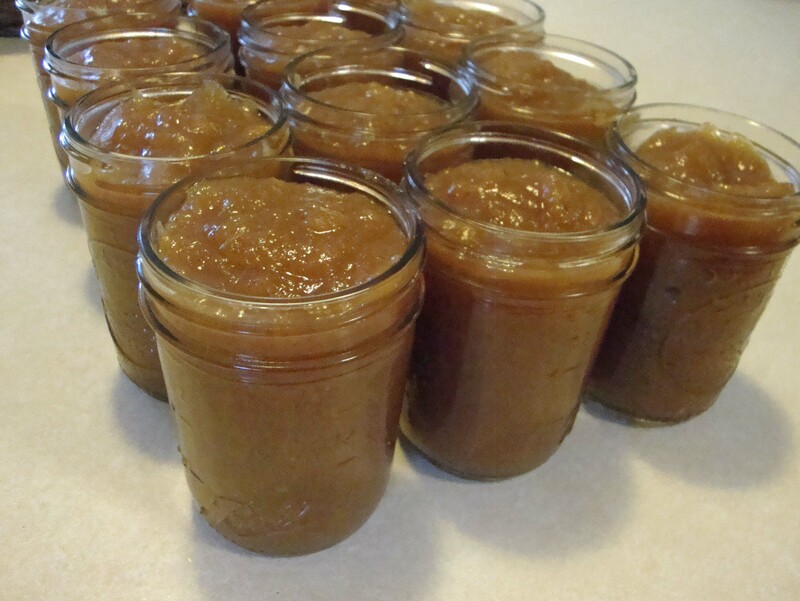 Spiced Pear Butter is one of my all time favorite treats and if it was easier to make I’d give it to all of my loved ones and then roll in it. Alas, it’s a bit of a dilly to make. Not hard, but very time consuming and a bit expensive for the yield. Having said that, it is well worth it for your own private stash or for that lovely person who gifts you with one of their kidneys/lungs/other vital organs. In just over 6 hours, I have created 12-1/2 pints of ambrosia-like wonder. 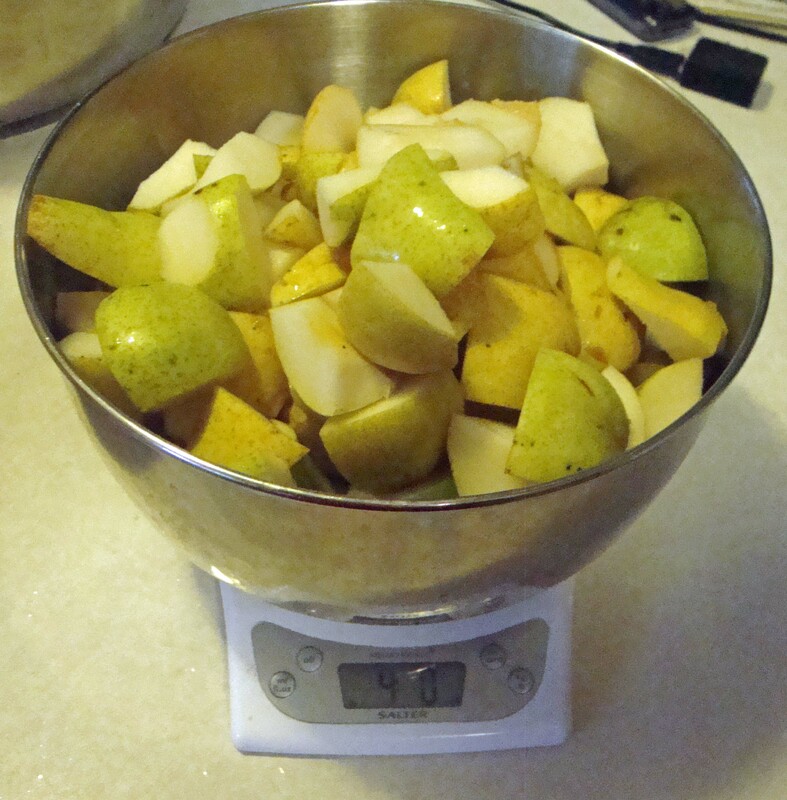 12 pounds of organic pears (unpeeled) cored and cut into 1″ chunks. This is about 16 pounds before cutting. 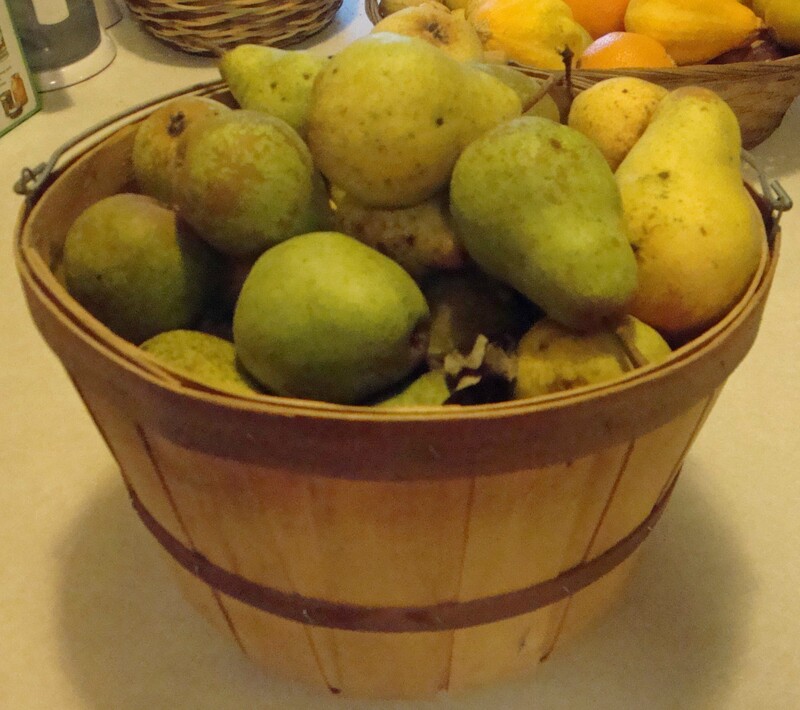 About 16 pounds of organic pears. Look at all that lovely compost/ chicken food! 1. 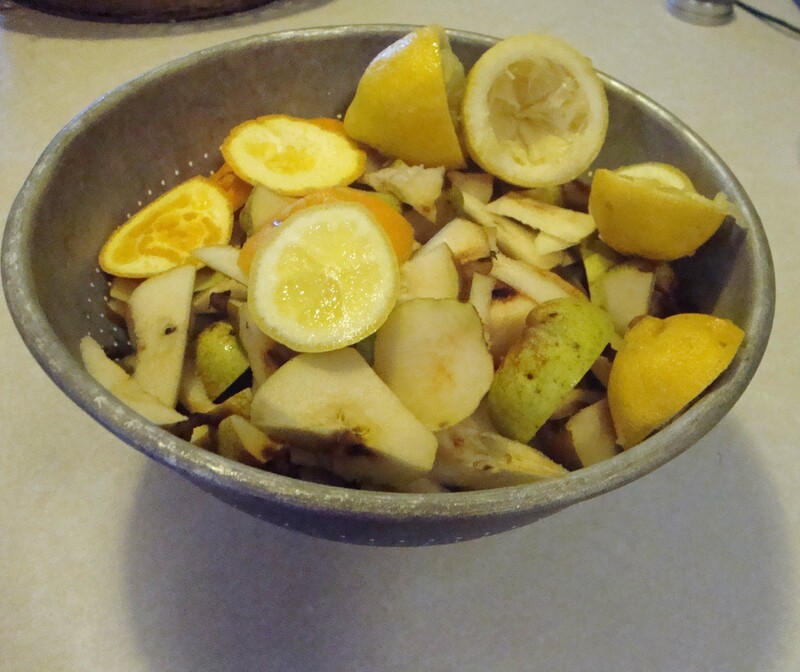 Combine pears, wine and lemon juice in a very large stockpot and cover. 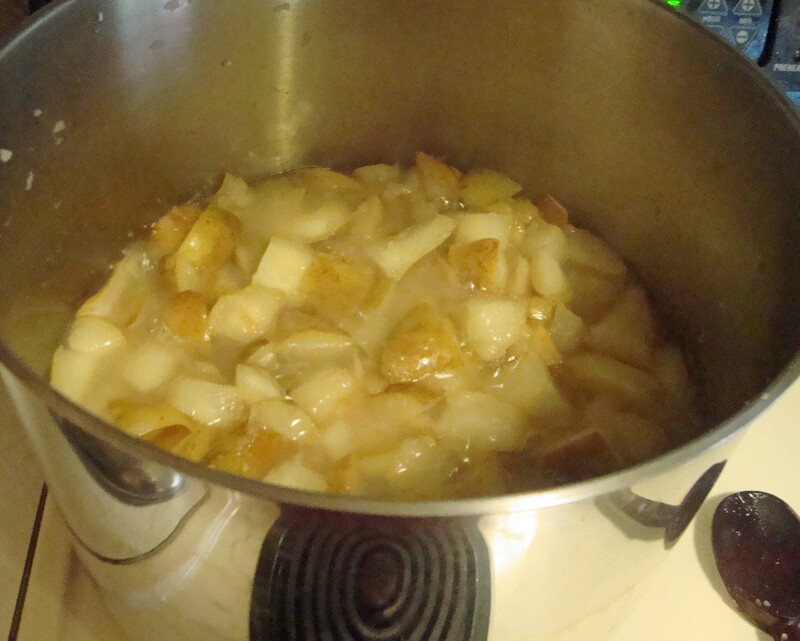 Simmer about 45 minutes, stirring occasionally until the pears are very tender. 2. Force through a food mill to remove skins. 3. Return the puree to the heavy stockpot. Add remaining ingredients. 4. 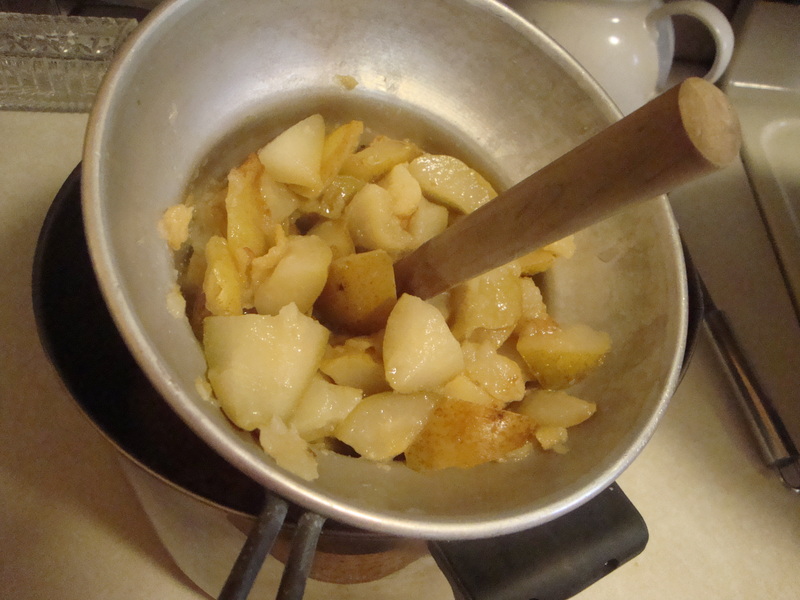 Stir over low heat until sugar dissolves. 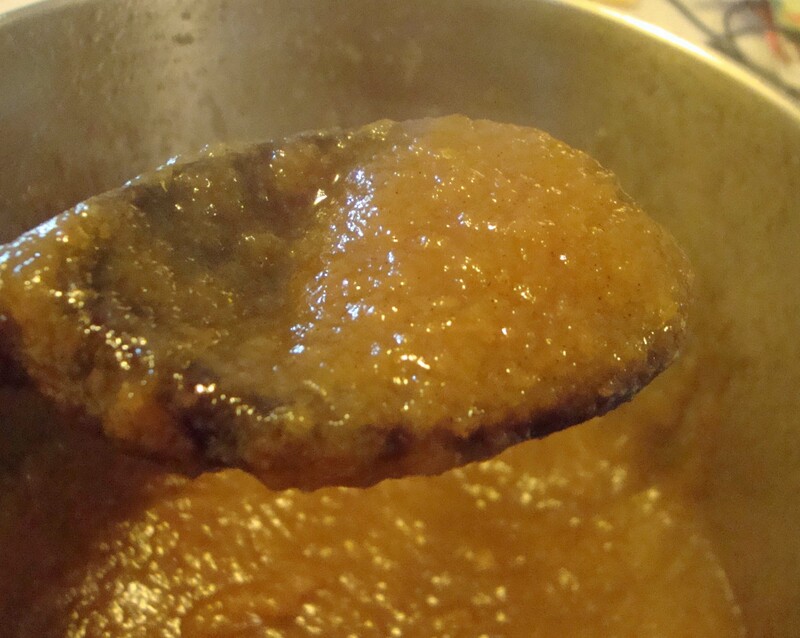 Increase heat to medium and boil gently until mixture thickens and begins to mound on the spoon. This takes between 2-3 hours (depending on your heat). Stir frequently to keep mixture from scorching. 5. 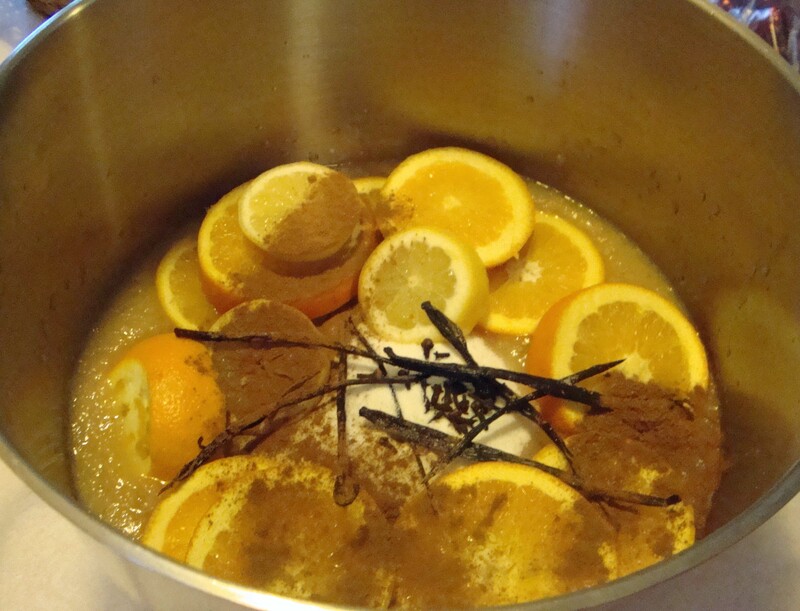 Discard fruit slices, cloves and vanilla beans. 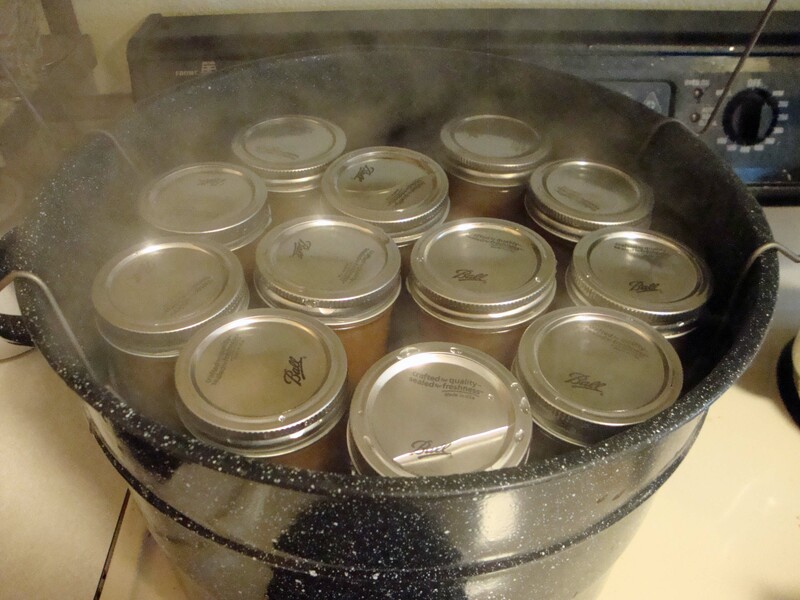 Spoon into sterilized canning jars, filling to 1/4″from top. Wipe rims, place lids on and submerge into boiling water bath. 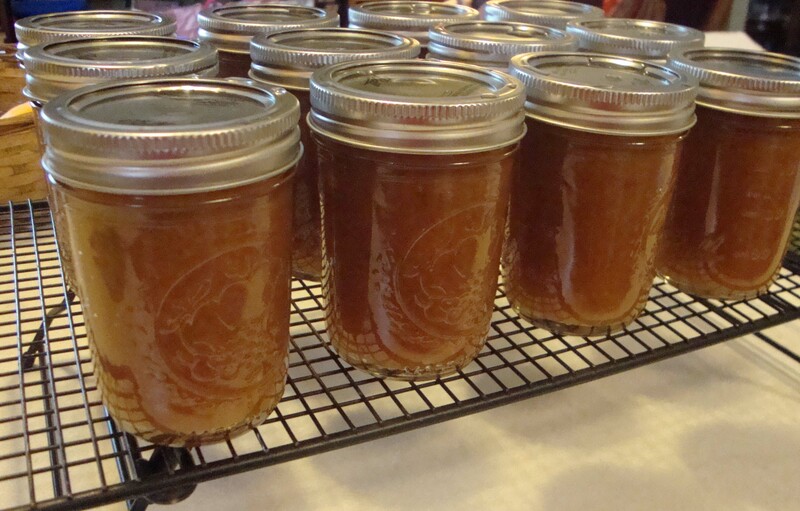 Posted in Uncategorized	| Tagged Best Pear Recipe EVER!, Modern Day Green Acres, organic pears, Spice Pear Butter, sustainable living, The New Pioneers, YUM!